“We had some debris on the grille over the last run and I think it actually helped. The temperatures went up but they weren’t too high. I got the jump on the restart and I knew Todd was on a run. We were up high next to the wall and I looked up and saw no one had a run. I knew that any time something bad could happen, and I was just waiting for it. 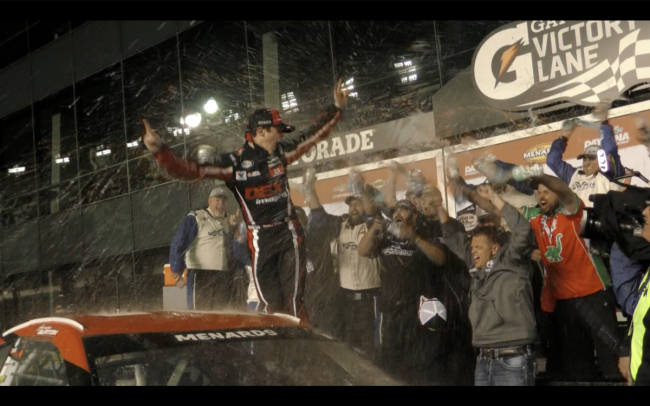 It never did and then when I crossed the line I started screaming my head off.”Burton held off Todd Gilliland (No. 4 Frontline Enterprises Toyota) on a one-lap overtime dash to the checkered.